One aspect of the civil service that is ripe for reform is the position classification process. People outside government struggle to understand the meaning of the hundreds of job series that are included in vacancy announcements. They do not know the difference between a program analyst, a management analyst, a business analyst, a management/program analyst, or any of the other types of “analysts” they see advertised, or the countless other job identifiers. With the general schedule and other pay plans such as the wage grade system for trade and craft jobs, there are about 400 job series in the federal government, along with more than 100 pay grades. The result is thousands of possible job classifications. The idea behind position management is simple, but the execution is not. Here is an example. An organization has 10 jobs, all doing basket weaving. The work is 50 percent GS-11 level work and 50 percent GS-12. The agency could structure the work so all of the GS-11 work is assigned to 5 employees and all of the GS-12 work is assigned to the other 5. The result would be 5 employees at each grade level. Alternatively, the agency could assign each employee a mix of 50 percent GS-11 work and 50 percent GS-12 work. The result would be 10 GS-12 positions. If we apply the Washington pay scale, using the representative rate (Step 4) for each grade, the cost of the first option would be $804,265, while the second would cost $876,930. The easy answer is to go with option A. But what happens if it is hard to fill those jobs, and a GS-11 does not attract the right talent? What happens if there is an organization nearby that has far more GS-12 work, and they are constantly hiring away your GS-11s? What happens if trying to break out the work by grade level creates workflow problems? Those considerations go into position management decisions. At some point in the past 20 years, the approach to position classification changed. 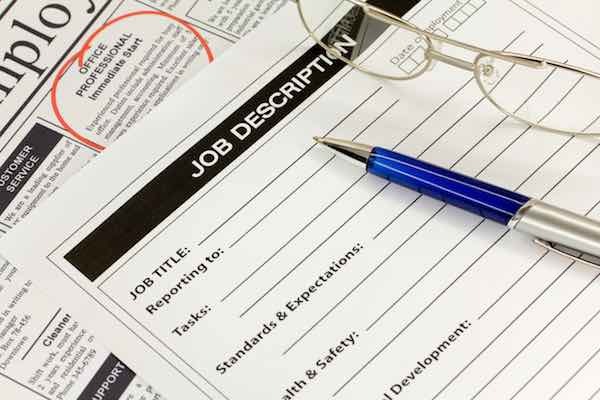 In response to shrinking HR offices and the difficulty in finding or growing experienced classifiers, along with management frustration about the inflexibility of the process, agencies and companies developed tools to help managers and classifiers prepare and evaluate job descriptions. The goal shifted from accurate classification to quicker and easier job classification. The tools provided the option of starting with a grade level and working backward to get the words that would support that grade. That approach accelerated the demise of position classification as an HR occupation. Now it is hard to find an experienced classifier, and even harder to find agencies that treat position classification as much more than an administrative exercise. In effect, the attempts to game the system won. Agencies should make affirmative decisions regarding who has the authority to make those trade-offs, but they may not have the expertise in-house to do it. Is that trade-off made by a manager who knows very little about the state of the job market and the adequacy of compensation? Or is it an HR specialist who also knows very little about compensation and the state of the job market? The answer is neither. Agencies need compensation professionals who can make that kind of decisions, or at least provide informed guidance and options to the people who have the authority to make them. That means they need to either create those jobs or contract for them, and they need to increase the investment in training in-house compensation experts.